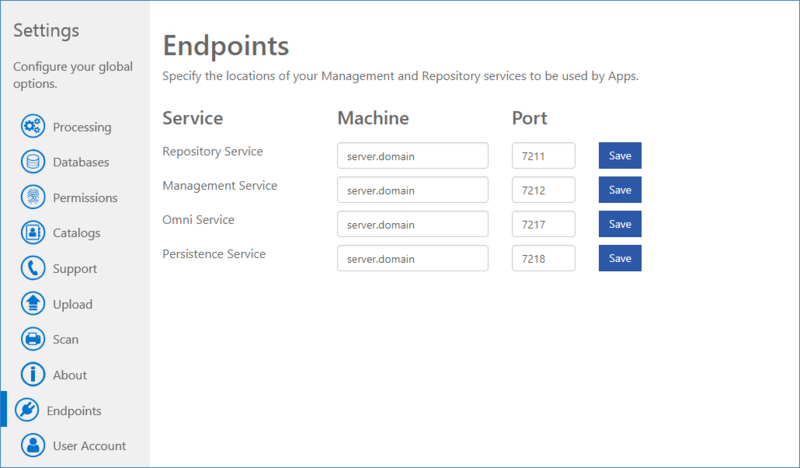 On the Configuration app’s Endpoints page, you can specify the locations of your Farm’s Management Service and Repository Service. This is primarily useful if you have a multi-server installation with load balancing. NOTE: Endpoints can be a machine name, a fully qualified domain name, or an IP address for the machine running each service depending on your network configuration. Type a new Machine and Port for the services that you need to update. Click Save for each endpoint that you changed.